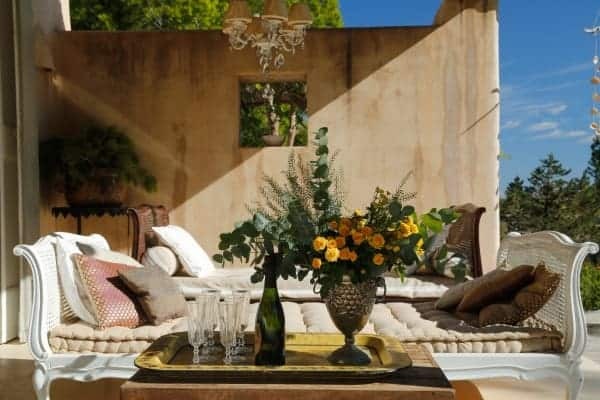 Hidden inside a fragrant pine grove in the quiet, agricultural zone of Cap de Barbaria, one can find a traditional Balearic Villa that is as opulent as it is rustic. 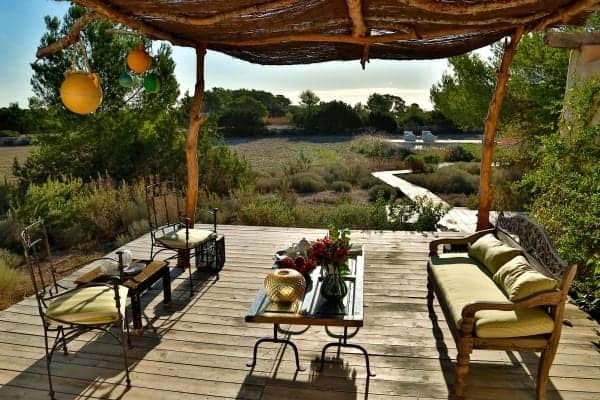 The villa can be reached and traversed by a charming network of beach-style wooden walkways which put guests in touch with the surrounding nature, and with the scent of the wild thyme and rosemary which is allowed to thrive around the boardwalks. 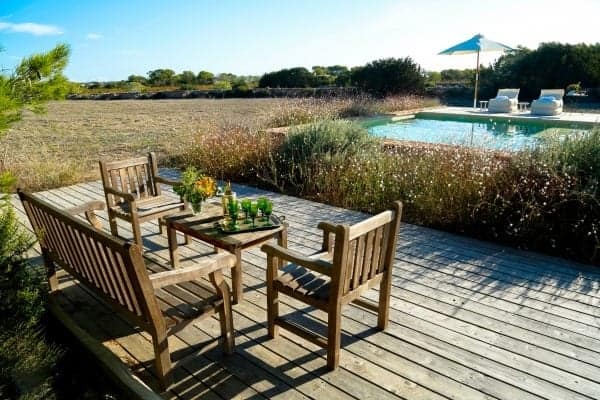 Guests can enjoy the open space of the surrounding fields, but also the complete privacy offered by the property’s secluded and sheltered location. 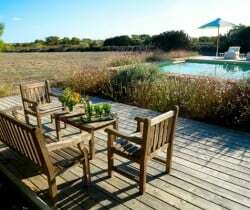 The exterior hosts a shaded relaxation area, a tasteful al fresco dining area, and a swimming pool – designed with a palette of emerald and sand – which blends subtly and beautifully into the surrounding countryside. 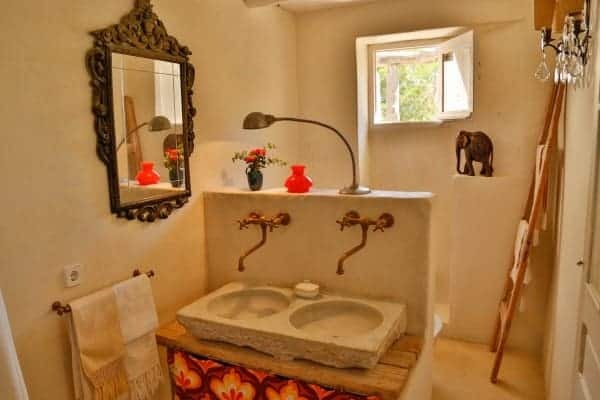 The main building itself is plastered in the Moorish style, which rewards onlookers with differing shades of colour, depending on the time of day. 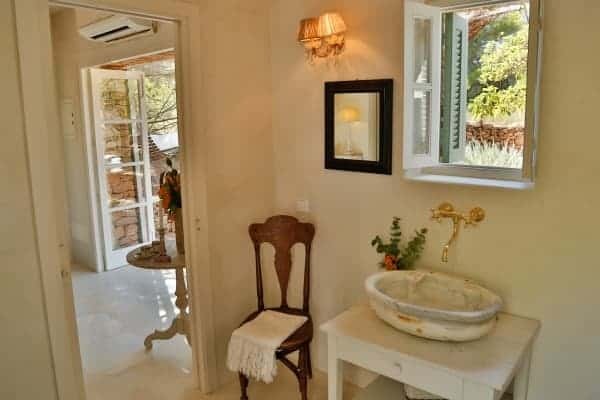 The interior includes carefully restored, wooden fixtures and roof beams, and is furnished and decorated with minimal touches of European and chic-vintage style. 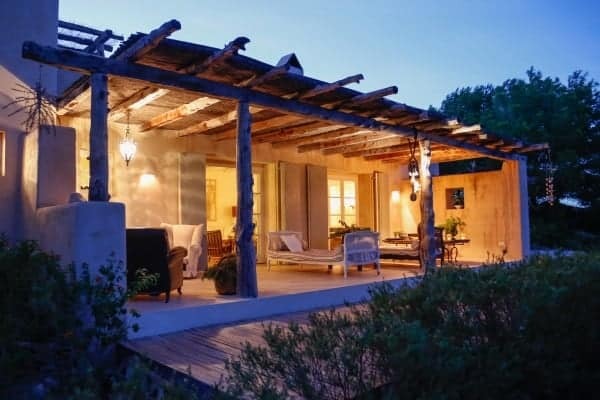 The living room and dining area are connected by two elegant French doors, which contribute to the airy and timeless feel of the property. 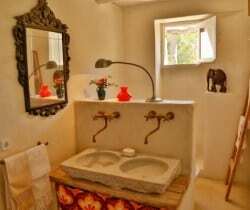 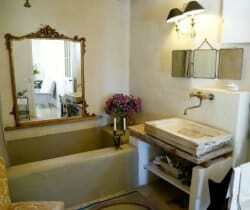 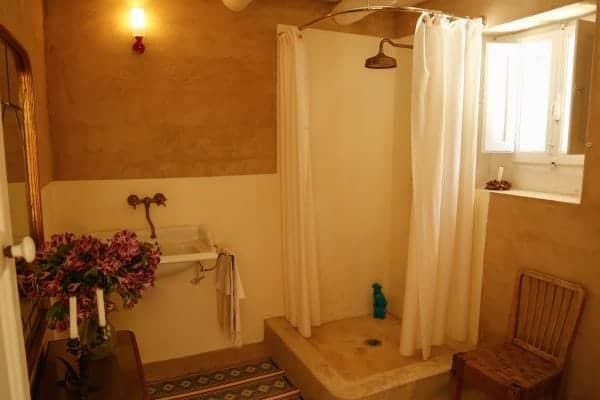 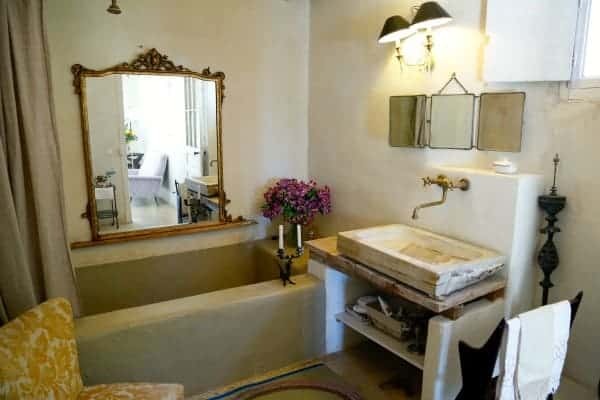 The kitchen and bathrooms are clad with fixtures of antique salvaged marble. 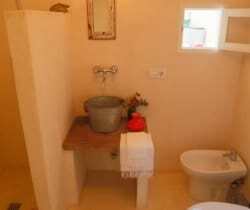 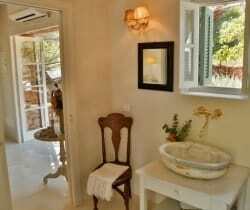 There are six en suite bedrooms. 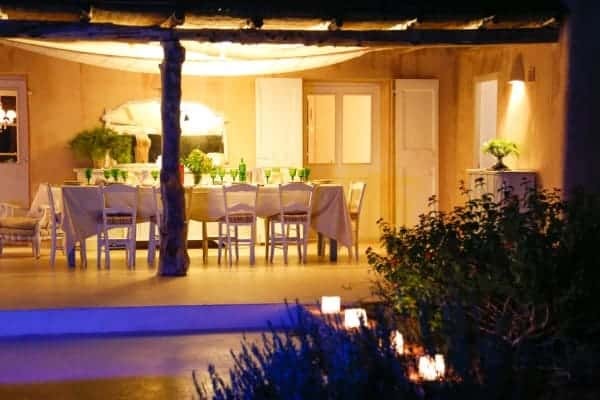 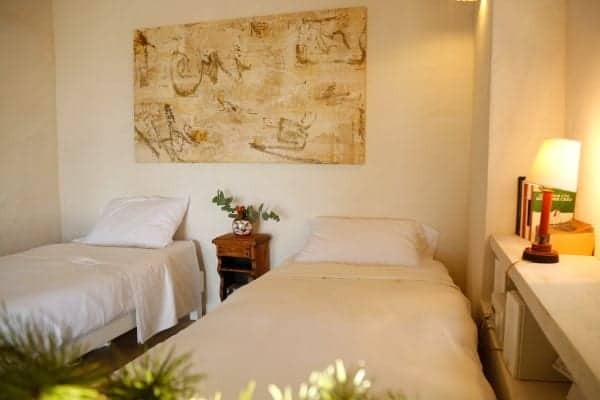 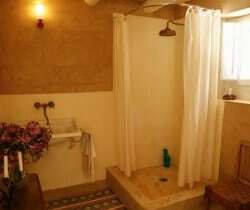 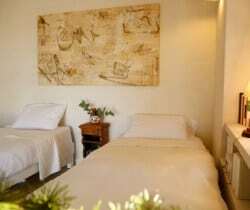 The villa can comfortably accommodate twelve guests, and would be a perfect location for hosting a gathering of friends, or a family getaway. 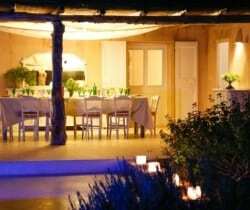 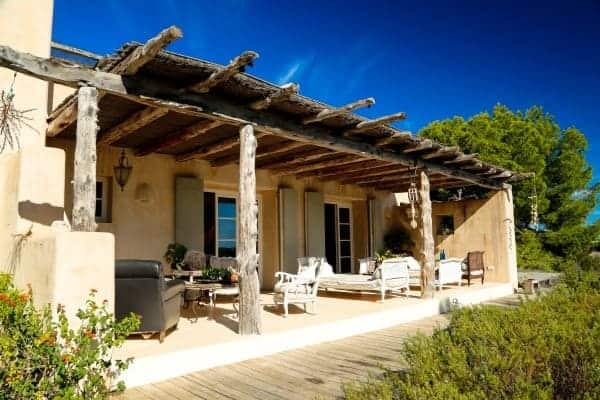 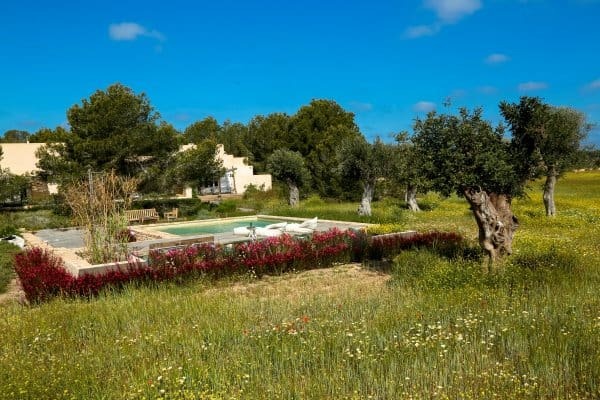 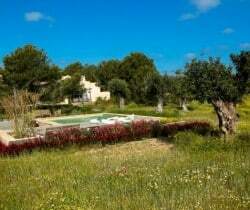 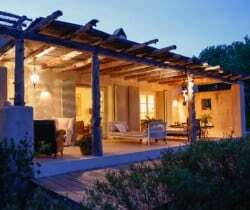 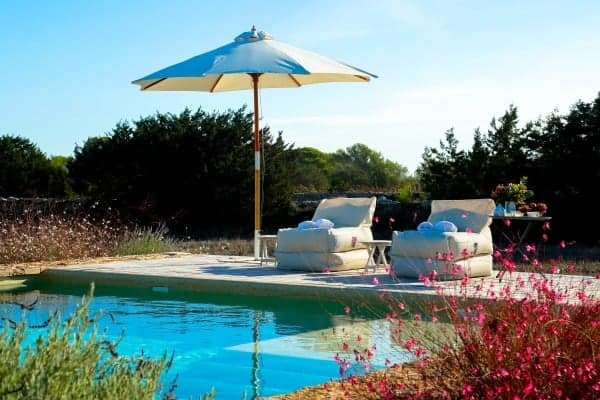 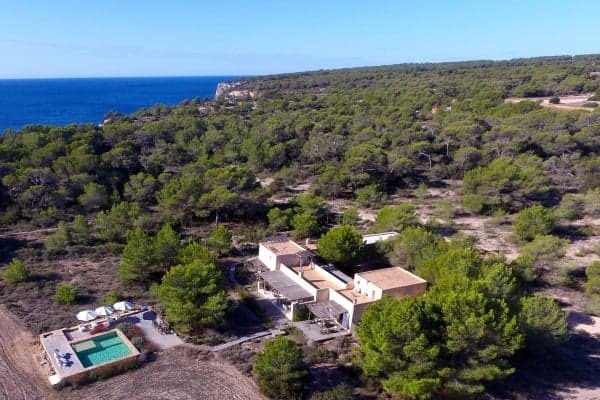 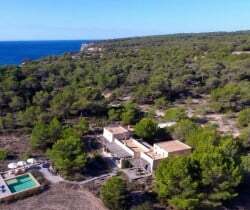 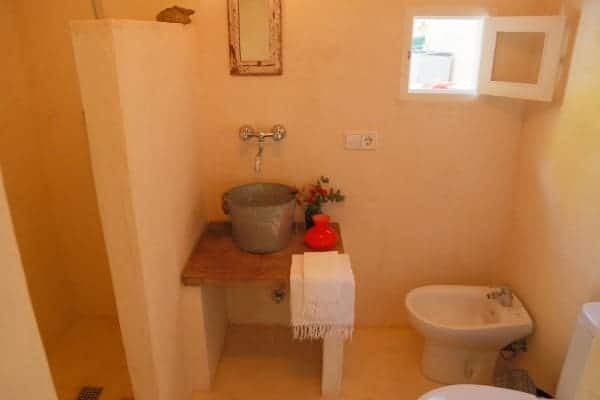 Close to the unspoiled beaches and renowned bicycle trails of Formentera, but far away from the summer crowds, this property is sure to become a treasure for those who thrive in the relaxation and tranquillity offered by nature.